CARB Applauds Tesla Model 3 Sales Surge. Bob Lutz Predicts Tesla’s Demise Within Two Years. Mary Nichols, head of CARB, says the Tesla Model 3 is igniting a movement. Bot Lutz says Tesla is on its last legs and will be out of business in two years. Who you gonna believe? He Said, She Said. 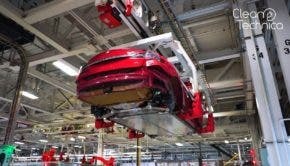 What’s Going On With Tesla Model 3 Battery Production? Workers at the Tesla Gigafactory tell CNBC that battery packs for the Model 3 are being largely made by hand and may contain significant defects, a claim that Tesla hotly denies.